Location: Saint-Saturnin, in the Lozere departement of France (Languedoc-Roussillon Region). Notes: Château de Saint-Saturnin is a castle (fortress) located in Saint-Saturnin Lozère, France.The castle is mentioned in the heritage of the king of France in the thirteenth century, which places its construction around that time. Gevaudan the Middle Ages is a viscount divided into eight baronies, plus twelve major lordships (with a right of access to private states of Gevaudan). However, a family has a special status that is very close to that of baron, these are comtors Montferrand (now included in the municipality of Banassac) which has three commandments (Saint-Pierre-de-Nogaret, Saint-Germain -du-Teil and Trélans). 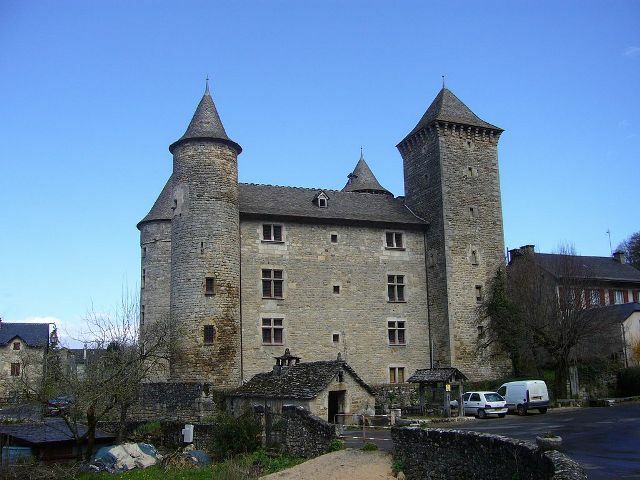 The castle of Saint-Saturnin is therefore not a possession of the barons of Canilhac nearby but Montferrand. However, in the sixteenth century, we find traces of the castle as a possession Cénaret. It will be expanded from the middle of the seventeenth century, and then will gradually abandoned after the French Revolution. It is also in ruins in 1968. National Inventory His attributes were looted and does include the lintel of the main door to the chateau de la Caze, not far away, in the gorges Tarn. Towards the end of the twentieth century an association begins to restore. He is also a listed building since 1995.